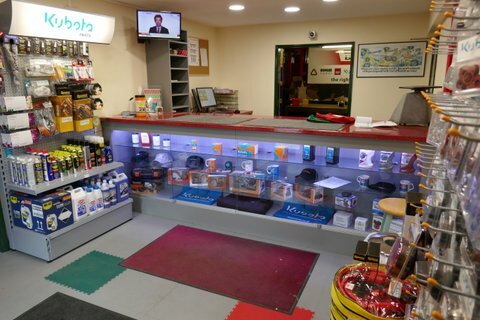 The New Year saw a smart new trade counter and display cabinets being installed at Bryco so we have filled them with Kubota merchandise and consumables, along with some Sparex consumables and other generic items. Come and take a look, you can watch promotional videos or even just some TV, and at the same have a coffee. Kubota filter kits include all the main air, oil and fuel filters and Bryco now stock all kits for all Kubota machines. Please call 01327 876166 and our helpful and knowledgeable advisers will assist you. Out of 100’s of dealers selling Kubota products the Gold+ Service Dealer is only awarded to a very select few offering the highest level of service. Bryco is always proud of this achievement and will continue to offer the very best service and support to all our customers. Kubota UK has signed a new partnership with Northampton Saints that will see the market leading machinery supplier become an elite sponsor of the Aviva Premiership rugby team for the next two seasons. Kubota’s logo has been seen on the back of the Saints’ playing shirts since last October, with the company also providing the machinery for the Franklin’s Gardens ground staff to maintain the pitches to the highest possible standards despite some trying conditions during the wet winter. It is very important to let the machine complete its DPF regeneration process and these new dash panel lights from Kubota will tell you what you need to do. Today Bryco had the pleasure of hosting Deutz engineers in our engine test cell to put two brand new engines through their paces. The engines were the Deutz TD2.9L4 and the TCD3.6L4, which are available in a number of different configurations to suit OEM requirements. We are sure it wont be long before you will see plenty of these brand new engines mainly in off highway equipment, such as telehandlers, tractors, back hoes, dumper trucks, etc. In May 2015 Bryco celebrates working closely with the Kubota Corporation for 30 years. During that time we have gone from strength to strength and now covet the prestigious Kubota Gold+ Service Dealer Award. Kubota are always planning for the future with continuous development of their industrial engine range and Bryco are proud to be a part of that bright future. Bryco are pleased to advise they now offer full Yanmar diagnostic assistance to all Yanmar electronic tier 4 engines. The Smart Assist Diagnostics system is the very latest in engine technology and allows the engineer to simply connect a laptop to your engine and get a full report of its condition. Blaby District Council in Leicestershire have launched a mobile youth bus called BB19 with facilities so that the Youth Workers can work with young people anywhere with or without a youth centre. The bus is kitted out with media equipment including computers, a flat screen TV, gaming consoles and DJ equipment and it was our pleasure to install the on-board generators. As part of our continuous improvement here at Kohler Engines; we are happy to announce the development and enhancement of our currently successful engine the 15LD 440. Since beginning of 2014 a new engine family extends the Hatz product portfolio: The H-series. Starting with the 4H50TIC water-cooled 4-cylinder model, Hatz is relying on common-rail technology, turbocharger and external exhaust gas recirculation with the new generation. Hatz followed a ground-breaking downsizing approach, making the engine the most compact and lightweight in its class. Bryco staff are now fully trained in Kubota’s Diag Master digital analysis system. This system connects a laptop to your engine and fully interrogates the engines status allowing for a complete diagnosis and fast service times. GET THE BEST FROM YOUR KUBOTA – USE KUBOTA GENUINE PARTS Kubota Lubricants Use Kubota genuine lubricants for your service needs: Engine oil Gear oil Super UDT hydraulic fluid UDT hydraulic fluid Engine Oil Filters Kubota genuine oil filters are designed to remove harmful contaminants from engine oil. In the biggest development in the company’s history, Kohler Engines is launching a new range of 1.9 and 2.5 L Tier 4 final diesel engines. The new KDI engines expand the size and power density of Kohler’s diesel engine offering and integrate a range of heavy-duty diesel technologies including high pressure, electronically controlled common rail fuel injection and cooled exhaust gas recirculation. For the sixth consecutive year Bryco are pleased to announce we have not only won the coveted Kubota Gold Service Dealer Award but the highest Kubota+ Status. 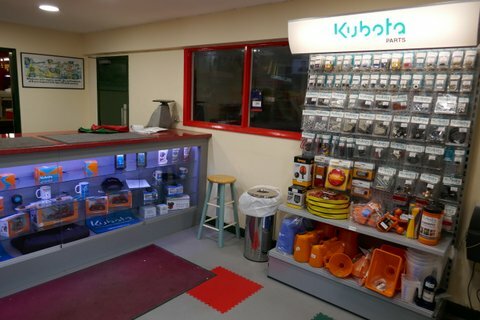 Out of 100’s of dealers selling Kubota products the Gold+ Service Dealer is only awarded to a very select few offering the highest level of service. Bryco is extremely proud of this achievement and will continue to offer the very best service.